The Valdensian community and two foundations in Florence - CR Firenze and 'Il Cuore si scioglie' - have launched a project to support unaccompanied foreign minors through a range of courses including computer, Italian language, civics and theater classes. The Valdensian community in Florence - Diaconia Valdese Fiorentina - and two foundations - the Fondazione CR Firenze and Fondazione 'Il Cuore si schioglie' ('The heart melts') - have launched a project to promote the integration of unaccompanied foreign minors. The project is called 'Terra Ferma-percordi di integratione per minori stranieri non accompagnati' ('Mainland - integration paths for unaccompanied foreign minors'). It organizes computer courses and classes in Italian, civics and theater. A reported 42 minors were selected for the first part of the project. The minors are from Albania, Kosovo, Morocco, Tunisia, Nigeria, Pakistan and Senegal. A professional will be providing psychological support to participants throughout the program. 'Terra Ferma', winner of the competition 'Nessuno escluso' ('Nobody excluded'), was organized thanks to the partnership between the main organizer, Diaconia Valdese Fiorentina, the consortium Cori, Associazione piuma onlus and another association, Le discipline-Associazione libera Toscana. Davide Donelli, director of the Diaconia Valdese Fiorentina, said the objective of the program is to help the ''social inclusion and personal development'' of participants through ''cultural and formative activities''. 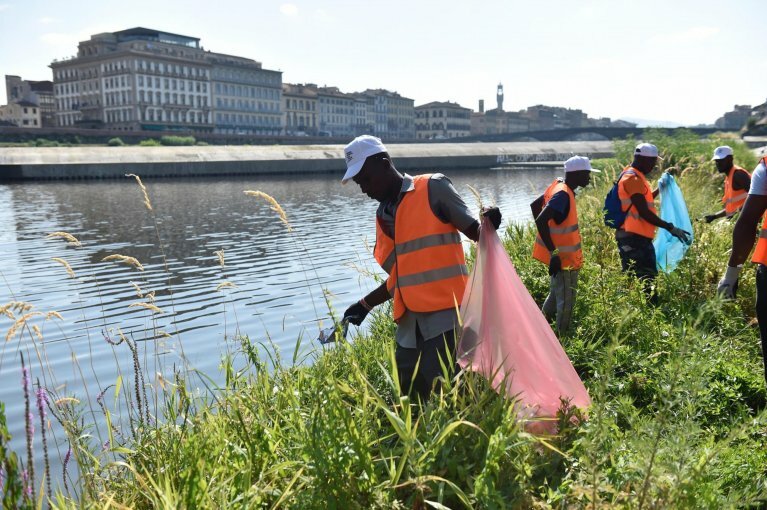 Florence's Welfare Councilor Sara Funaro said the project focuses on unaccompanied foreign minors, ''who must go through a whole range of social inclusion courses'' so that they can build ''a certain type of future in our territory." Is the Swedish migrant reception model going bust?